Note: Not all combinations may necessarily be available. FPU: Internal in both processors. 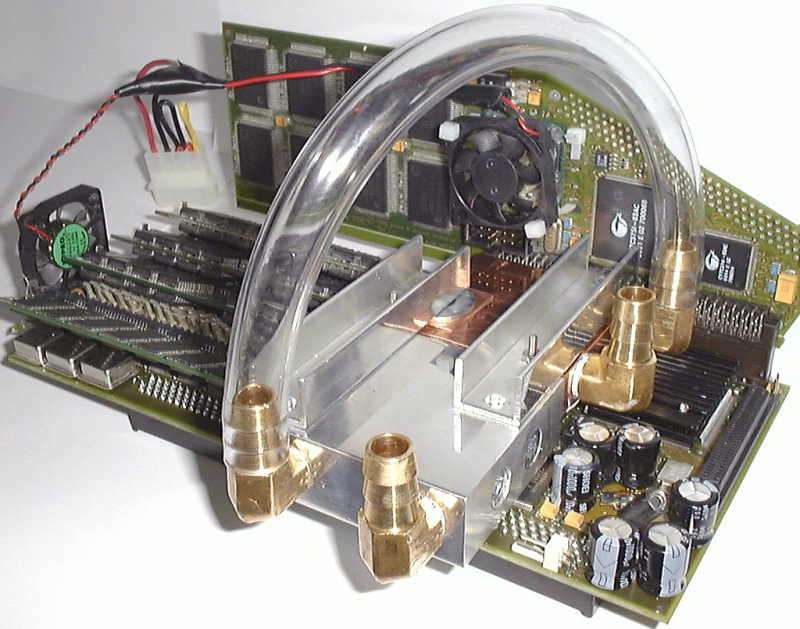 An accelerator which was designed to plug into the CPU Fast Slot of the A3000 and A4000 series machines. 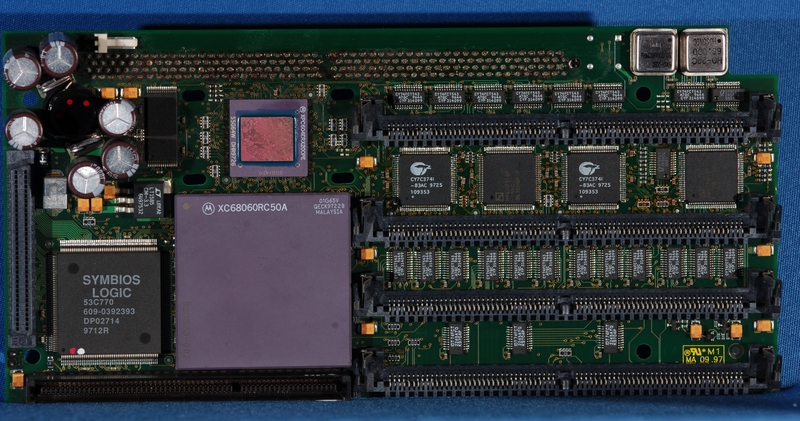 The Cyberstorm PPC is an amazing piece of kit providing both a 68k processor and a PowerPC processor. The idea is that the PowerPC can be used to run software which supports it, much faster than any 68k processor can, with the 68k providing compatibility with existing 68k Amiga software. 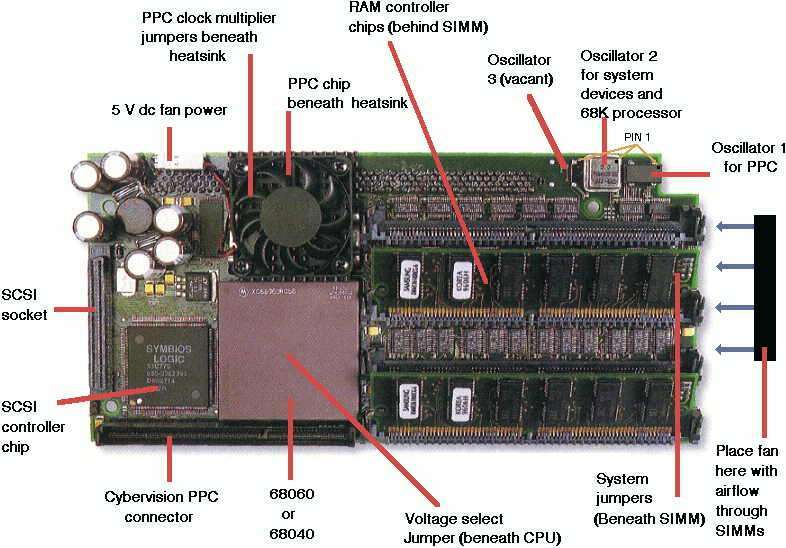 There is a surprisingly large amount of PowerPC software for the Amiga, and even alternative PowerPC operating systems such as Linux can run on this card. The card also includes a SCSI-3 Ultrawide (68pin) controller and an expansion port for the Cybervision PPC graphics card. This card was originally manufactured by Phase 5, but after they went into liquidation DCE bought the rights and manufactured at least a limited number of units. A working prototype of this card is also available, although it was only ever released to developers. During the reset sequence it is possible to hold down the ESC key and enter a configuration menu for the card. From this menu you can configure various things about the card such as which ID the scsi controller uses, inititial system setup such as the supervisor mode of the 060 and other things like RAM timings. The ROM for the card can also be flash-updated. By holding down M you can disable the memory on the card, holding down S disables the on-board SCSI controller and holding down A disables both the memory and the SCSI controller. 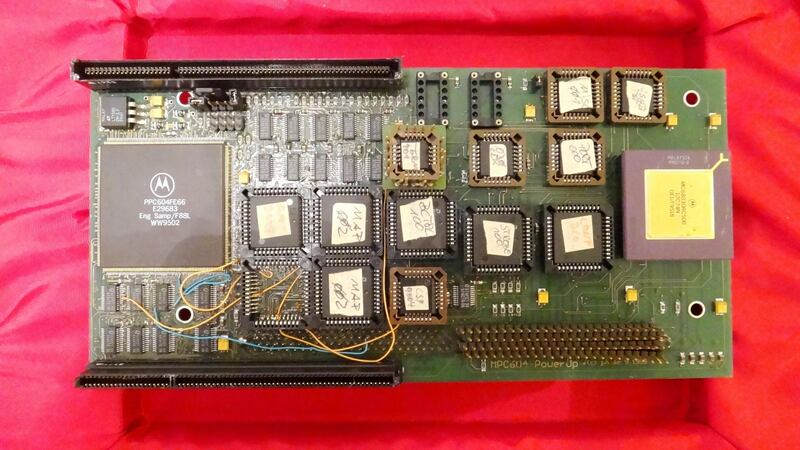 Fitting this card to an A3000 may require an INT2 modifcation. All Phase 5 versions of this card were manufactured with low profile SIMM slots which mean the card physically fits in an A3000 without any problems. However the initial boards manufactured by DCE used vertical standing SIMM slots which means if your board is one of these, you may have problems physically fitting it inside an A3000 due to height restrictions. Page contributors: Johnny Kitchens, Mario Misic, Martin Cornelius, Michael Dittmar, NicDouille, Pascal Rielland, RiWa & Friends.